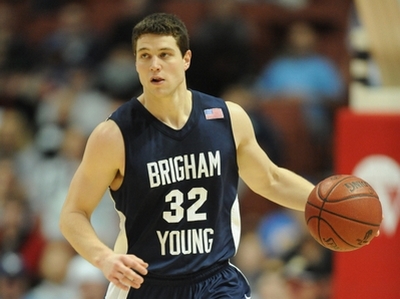 I attended Brigham Young University (BYU) the same time as the famous Mormon athlete Jimmer Fredette. I remember the hostile debates throughout Utah in response to another student’s article in The Daily Universe (school newspaper at BYU), who complained that people shouldn’t worship Jimmer so much. Facebook and other social media sites became filled with comments on Jimmer and videos (like the “How to Jimmer” video). The Marriot Center (basketball stadium) was always overflowing with Jimmer fans, and basketball tickets sold out quickly. I even remember attending a football game elsewhere where BYU students cheered with an oversized cardboard sign showing a portrait of Jimmer. Even our local congregation leader of The Church of Jesus Christ of Latter-day Saints (inaccurately called the Mormon Church by some) dressed up as Jimmer for Halloween. All-Time Scoring Leader: Jimmer Fredette, Guard, 2008–2011, 139 games & 2,599 points. 30+ Point Games, #1. Jimmer Fredette (2008–11): 24. Points in One Season, #1. Jimmer Fredette (2011), 1,068 points, 28 (PPG). Three-Point Field Goals, #1. Jimmer Fredette (2008–11): 296. The Wooden National Player of the Year  started his fame and basketball career before he began his education and at the age of five he was able to throw three-pointers. In 2007, he played basketball with inmates at Mount McGregor Correctional Facility (New York), and these criminals have become some of his fans following Jimmer’s career. He was the youngest one there with an older group of teenagers who played against a team of inmates (personal communication, Jeff Kimball, June 13, 2011). Jimmer currently plays for the Sacramento Kings. 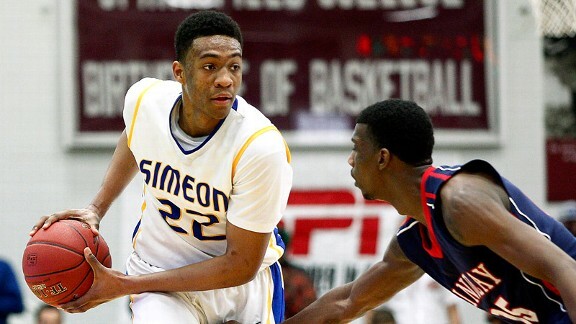 The NBA rookie was selected 10th in the NBA draft and the number one overall pick according to social media. However, he is only at the beginning of his professional career and is adjusting to not being the star player, playing against more challenging defenders and not firing whenever he wants to. “At 6 feet 2 inches tall, Fredette lacks the protypical size of an NBA shooting guard, whose average height hovers around 6 foot 5.” Unfortunately, the famous Mormon has spent a lot of time on the bench and needs more than his average 1.8 assists per game (Jordan Schultz, “Jimmer Fredette: A Full Examination of His Less-than-stellar Rookie Season,” Huffington Post, April 09, 2012). However, I believe that Jimmer won’t easily forget or give up his childhood dream to play in the NBA. He didn’t stop reaching for his goals when people didn’t tell him he was good enough. Bishop Kimball (my local congregation leader) witnessed Jimmer’s commitment and agility during a practice session where his brother shot him ball after ball. He would run to different stations. He had a sequence where he would stand under the basket with his back to the basket, run out to baseline at full speed, turn and jump up to take the shot, run to other side of court and rotate. When he was the most tired after doing that for 5 min or something he would shoot 10 free throws. Then go right back into running… Out of 10 sequences of 10 free throws, he made 100 (personal communication, June 13, 2011). 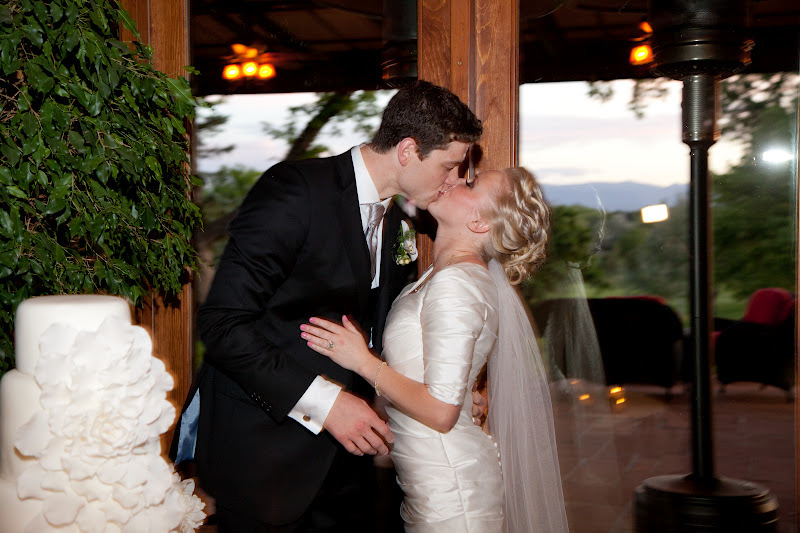 The famous Mormon Jimmer is more focused on his family relationships than on playing basketball. He knows that family relationships are eternal. He said, “Basketball will only be there for so long, but the gospel and your family and relationships you have will be there for eternity. That’s what I’m focused on…” Jimmer attended The Church of Jesus Christ of Latter-day Saints with his family and after turning 8 years old, he chose to be baptized a member. 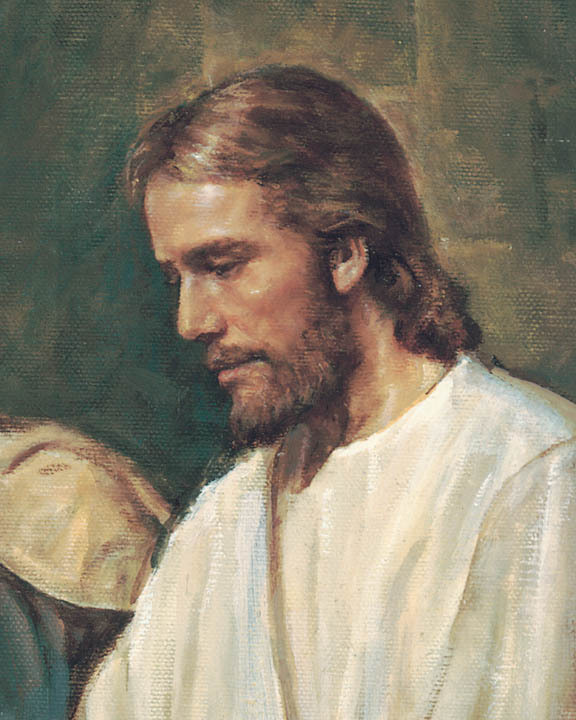 His father joined the church when he was 18, his mother is Catholic, and his two siblings were also baptized LDS members. When missionaries knock on a Glens Falls door and introduce themselves as representatives of The Church of Jesus Christ of Latter-day Saints, they are usually met with blank stares. Then the missionaries will say, “By the way, we’re from the same church as Jimmer…” People laugh and it really breaks the ice. Jimmer has brought a lot of recognition for the Church.